The National Veterans Legal Services Program (NVLSP) and LexisNexis are proud to provide you with a comprehensive training resource and a complete package of practice tools on veterans benefits. Filmed in high-quality digital format, Veterans Benefits Advocacy, Third Edition provides an introduction to, and comprehensive training on, this complex new area of the law. 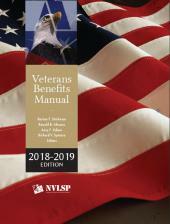 Presented by four of the country’s premier veterans benefits attorneys, NVLSP’s co-directors Ronald B. Abrams and Barton F. Stichman, along with NVLSP’s Director of Training and Publications Richard V. Spataro and Director of Litigation Amy F. Odom, this 4-hour DVD offers legal, administrative, and practical guidance on how attorneys can consider expanding their practice to represent veterans before the VA and why they should. It also covers the criteria for entitlement to VA disability benefits and the governing rules of practice and procedure. Packed with insight, analysis, and battle-tested advocacy tips from practitioners on the frontlines of veterans benefits law, this DVD set is a perfect training tool for attorneys looking to expand their practice while helping veterans obtain the benefits they deserve. 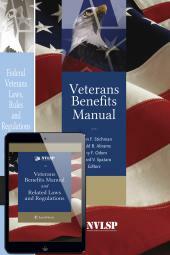 Packed with insight, analysis, and battle-tested advocacy tips from practitioners on the frontlines of veterans benefits law, Veterans Benefits Advocacy, Third Edition is the perfect training tool for attorneys interested in expanding their practice to help veterans obtain the crucial benefits they have earned and deserve. 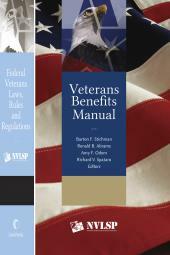 Veterans Benefits Advocacy, Third Edition has been accepted by VA for CLE purposes (for purposes of obtaining and maintaining VA accreditation under 38 CFR § 14.629. ).